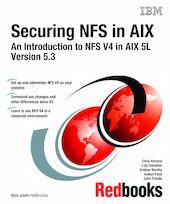 This IBM Redbooks publication is intended to provide a broad understanding of NFS V4 and specific AIX NFS V4 implementation details. It discusses considerations for deployment of NFS V4, with a focus on exploiting the stronger security features of the new protocol. Chapter 2. What's new in NFS V4?